It is Universal Century 0153. On the space colonies located at Side 2, the Zanscare Empire has come to power and it holds onto that power through liberal use of the guillotine. With its forces invading the Earth and its space fleets preparing to subjugate the other Sides, the Zanscare Empire has nothing to fear from the weakening Earth Federation. It is opposed only by the League Militaire, whose state of the art mobile suits and young pilots comprise the only real resistance movement. Now, thirteen-year-old Uso Evin has been dragged into the war by a battle near his home in Eastern Europe. 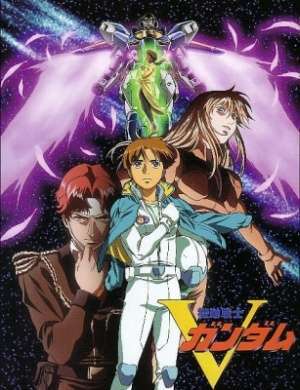 As the Newtype pilot of the Victory Gundam, he fights not only to defeat the Zanscare Empire but also to find out what has become of his parents, who left him behind when they went into space.